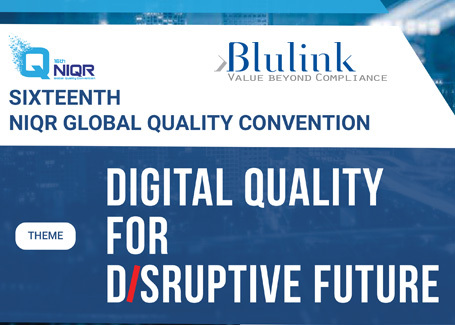 Blulink is at Digital Quality for Disruptive Future in Chennai, India, with an Industry 4.0 speech given by Bernhard Konzet – Blulink’s CEO. The event, organized by NIQE, an Indian association that works to promote quality in India, will be held on August 10th and 11th at the Chennai Trade Center. The two days are open to everyone, but in particular to CEOs, Managers, Quality Managers and Research and Development Managers.